Hello Everyone! 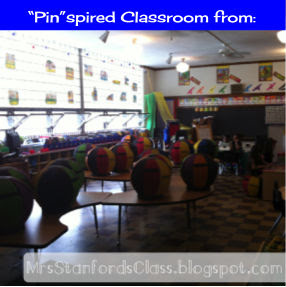 Tara here from Looney's Literacy to share ideas with you about setting up the classroom. I'm by far an expert at this, and in fact, have struggled (struggle with this) every year. This year I'm taking a different approach. After 11 years of learning and growing as a literacy interventionist I've picked up a few tricks and a lot of patience! I believe that our environment affects our learning. It is important to pay attention to the physical layout, lighting, and smells when setting up a learning environment. I'm also taking into consideration my professional development plan and incorporating these ideas into my classroom set-up as well. It might sound daunting at first but I have a plan that I'm hoping will work itself out. 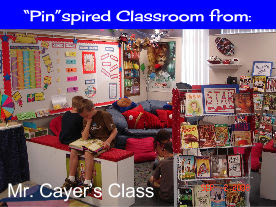 Many of my students need "cubby" like spaces that create boundaries. I will position my shelves so that they create box like areas that provide supplies and space to work independently. Keeping the shelves free of "extra" stimulation is another big one for myself and my students. For the students that prefer to lay on their tummy propped on their elbows, I will provide areas they can spread out safely and comfortably (with pillows of course). I also like to provide a variety of things to sit on. I have regular student chairs, benches, an office chair that spins and a small couch made from pallets. My professional development plan is focused on creating an inquiry based intervention program. It is vital for me to create spaces that my students feel safe taking risks and working independently. It will be very important for me to utilize my wall space in ways that are the most efficient for their learning. 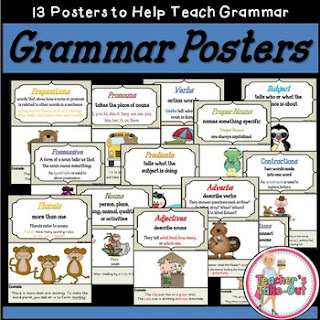 I will display a focus wall, a word wall and my grammar wall that I purchased from Stacy @ Teacher's Take-Out. I will also include blank bulletin board spaces for the students to fill up with their own learning tools. To support my PDP, I've decided to use What Do You Do With An Idea? by Kobi Yamada as my "theme." After reading this book together at the beginning of the year I'm going to encourage my students to use their own ideas to become expert readers and writers. The students will also have a "wonder" wall in the classroom and on the site I'm creating for students and parents. They will write down something that they wonder on a post-it note then each week I will feature a student's "wonder" on the site. If you're interested in how this all works out for me this year, check out my blog and follow along! I would love to hear from you and how you're going to set up your classroom this year! Enjoyed your post! Your wonder wall sounds like a great idea. I would love to hear more about how it works out in your classroom!